Enamel surfboard pendant necks with hibiscus flower and sea turtle decoration. Asst. 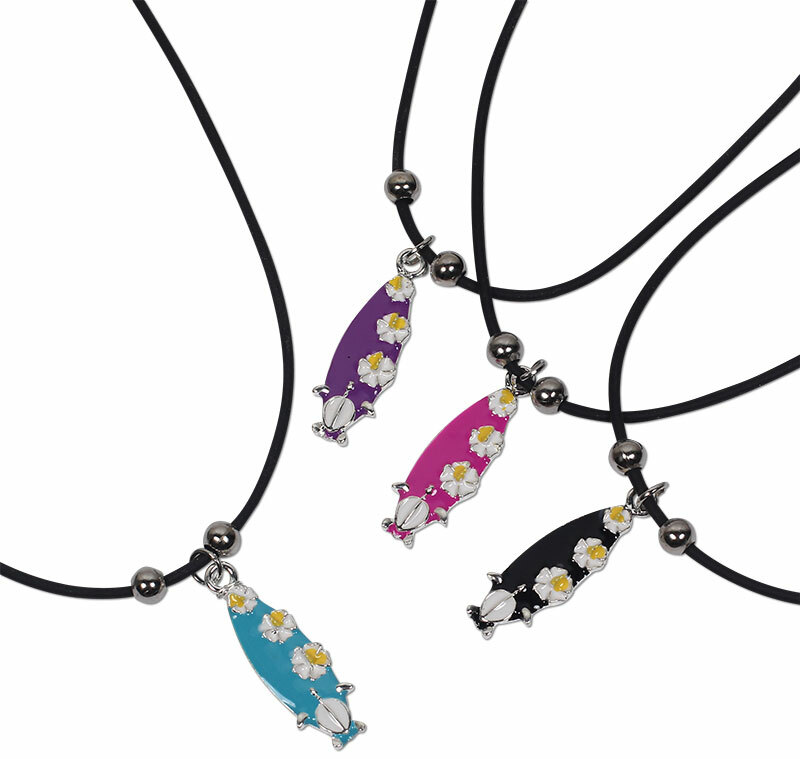 color enamels on black 18" rubber cord neck.